These heavy socks are sure to keep your feet warm. Made from 70% Acrylic, 16% Nylon, 10% Polyester, 3% Spandex & 1% Rubber. Colors are shades of black & white. 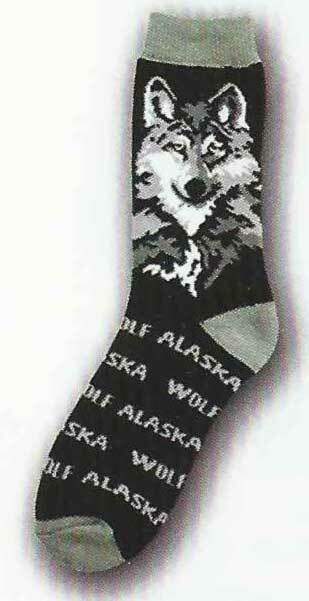 Text reads ALASKA WOLF.